Wildlife authorities in the US have added bees to its list of endangered and threatened species, a first time for any bee. Among those insects in trouble are seven species of yellow-faced bee, Hawaii’s only native bees. The US Fish and Wildlife Service announced the listing last week after years of study by the conservation group Xerces Society, state government officials and independent researchers. The threatened insects play a crucial role in pollinating plants on the island chain, but their numbers have been in decline due to loss of native plant species from development, wildfires and destructive species such as pigs. 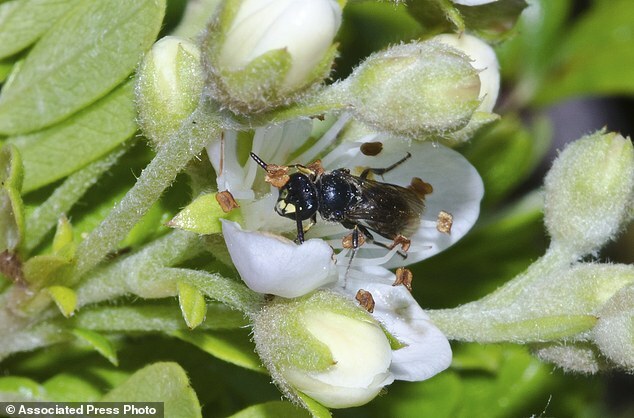 ‘Because remnant populations of many species of Hawaiian yellow-faced bees are small and isolated, they are especially vulnerable to habitat loss, predation, stochastic events, and other changes to their habitat,’ the Xerces Society said in a statement.